Universal bike/motorbike mobile phone holder mount. Universal brand new 360 degree revolving motorbike mount holder stand. Universal size fit for all mobiles. Spider Net Band Protection, grabs your device for a strong stable hold, and prevents your phone device drop to the ground. Long strong suction cup handed shock resistant and design for effortless positioning, and bring the phone closet to the driver. Strong Grip due to its adhesive sticky holder. You can keep your eyes up instead of looking down at your phone. It’s useful, smart, flexible, secure, comfortable viewing or watching angle. Its compact design is easy to install. Strong Suction Cup is Design to mount on the motorbikes, bicycles etc. 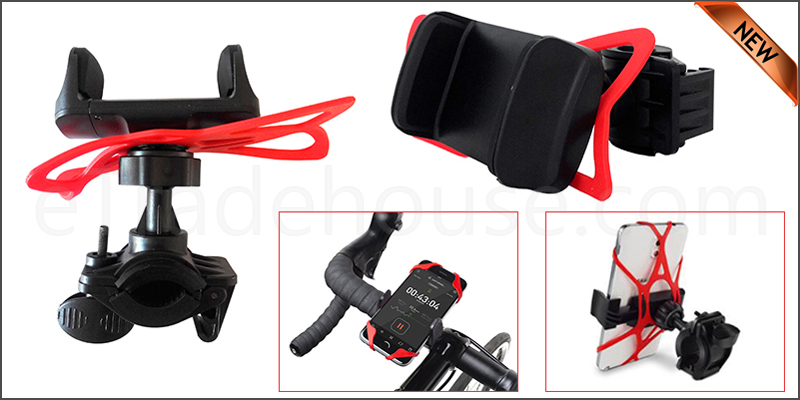 1x Bike/motorbike universal mobile phone holder mount.